Paper post orders are a safety hazard! 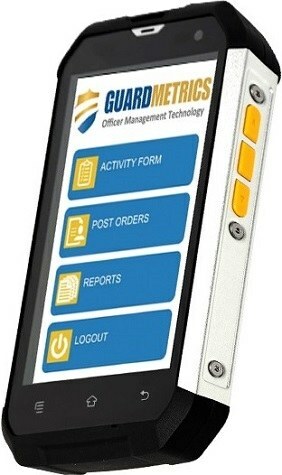 Call Guardmetrics to see a SAFE security guard post order management software app. GuardMetrics post order management software for security companies allows you to upload documents via your administrative “Management Portal”, from anywhere in the world. That gives your site supervisors the ability to post updates and notifications in real-time. DEMO this easy-to-use, simple-to-deploy security guard post order management system. Have you ever had a client who wanted you to change or add some standard operating instructions? Or perhaps you just received a 2:00 AM phone call from a frustrated stakeholder that expressed that “your people need to know…” (yes, the GuardMetrics team has been in the security guard business for a long time). Easy access to, and understanding of, expected procedure is key to a good employer/ employee/ client relationship. Having their guard post orders digitized allows your mobile security officers to always have them at their fingertips, complete and searchable, so that they can react efficiently, and without calling you unnecessarily. Post order management software is just one more way that you can demonstrate that your team knows what the customer wants, and how their duties should be conducted. This makes for a happy–and loyal–customer! A mobile post order management app is the best post order system for you, your officers and your clients. The GuardMetrics post order management system is a fully integrated capability included in the GuardMetrics security officer management system, allowing you to leverage all of the above from a single software solution, right from the security guard app, for all your officer management needs. Call us, or click here, to ask about optimizing your security guard post order management software system with the mobile officer app.